Scoreboard helps you keep score in nearly any sort of game with friends, family, or colleagues. If you'd normally add up points on scrap paper, use Scoreboard instead and put the score where everyone can see it: on your TV. Just $2.99 on the Apple TV App Store! Search for "Scoreboard for TV" to find it! 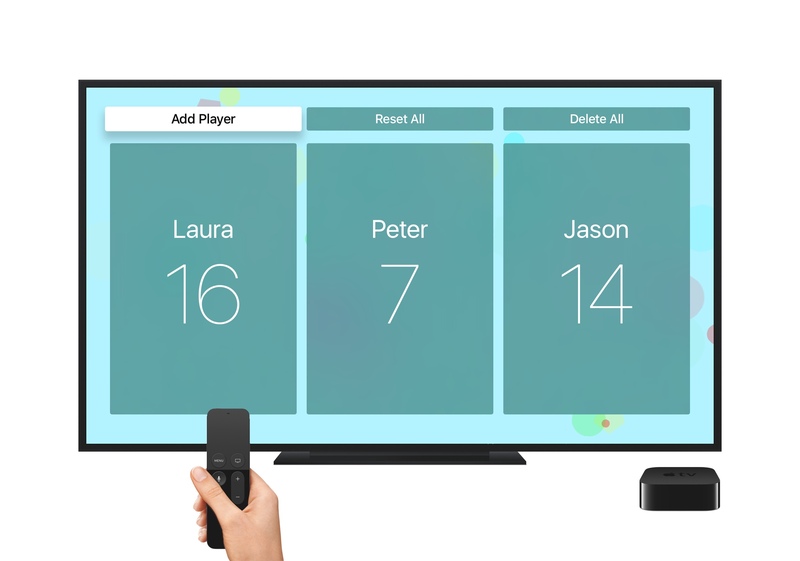 Play games with your friends and your Apple TV. Just $2.99. Scoreboard is a product of Architechies.